Francis I. Made french kings in charge of clerical matters. Ruled for her three sons. Unsuccessful in being a politique because of slaughtering the Hugenots. Massacred the Hugenots. Ordered by Marie de Medici. The pope gave the messenger a gold coin and keeled over laughing. France is well worth a mass. Flip flopped between Protestantism and Catholicism. Edict of Nantes allowed the Hugenot pockets to form. A politique because of his religious tolerance and is assassinated by Catholic. Louis XIII sends french troops to keep the Hapsburgs out of France. By the time this ends, France is the strongest country in Europe. Formed the French Academy to centralize the French Language. Nobles weren't allowed to have castles. Hugenots lost their organized cities. Fought alot of empty wars. Made France Catholic again. Controlled the nobles through Versailles. Revoked the Edict of Nantes. Killer shins. Sun King. Philip of Bourbon was getting the Spanish crown. NO SPANCE. Madame Du Barry. Roccoccocoo art style. Separation of powers, branches of the modern government, the climate affects the weather. Britain vs. France in the colonies. "I disagree with what you say, but i'll defend to the death your right to say it." "Crush the church." Teachers should be baby sitters. The government should be at the general will of the public. He advocated instinct and emotion. He was a chubby lil tart. Married to Marie Antoinette, known for her sleeping around and spending money. He was beheaded for treason after caught fleeing the country. Abee Sieyes wrote about the power of the Third Estate. Assignants were a monetary item during the revolution. Civil Constitution of the Clergy got rid of the Catholic Church in France, thanks Robes. Constitution of 1791 made it a constitutional monarchy.. Ruled by a group of men. Select few. The Concordat of 1801 reestablished Catholicism in France. The Napoleonic codes were enlightened in their equality for all men, no matter the birth rank. The Continental System was aimed against the British, and forbid his empire to trade with them. He fought the Peninsular War in spain, brutally. Russia was a fail, many men fell victim to the weather. The Hundred days were when Napoleon was exiled to Elba but then returned. He made his last Stand against Britain at the Battle of Waterloo which he lost. Charter of 1814 kept the Napoleonic Code and Religious Arrangements but added a legislative body. Way to GO. Reparation of War. Reestablish the monarchs. Balance of Power. Worked to restore the Old Regime. July Ordinances: Dissolved Chamber of Deputies. DEcreased the number of voters and controlled all the presses. People revolted. LEs Miserables. Barricades in the street protesting the July revolted against Charles X. Workers and middle class alike. Citizen King. Dressed like the people. Ignored the demands of the urban worker. Caused February rebellion. Republic. All males could vote. Louis Napoleon Bonaparte was the president of the legislative party. Influenced by socialism. Louis Blanc was a eutopian socialist. He wanted national workshops. Things didn't happen when people stopped getting paid. Rioting against the National Workshops. Second republic established. The printed word exploded and ideas spread quickly. Salvation through faith alone. Detested the extravagantly corrupt nature of the Catholic Church. Believed that all believers were united in their faith. Believed in hierarchy in society but NOT in the church. Universal monarch. He inherited the Hapsburg dynasty and Spain. Gave Spanish holdings to his son, and crappy HRE to his brother. Luther was put on trial by the papacy for his heretic statements against the church and it's indulgences. He did not recant and ran away! German peasants revolted against their princes in response to Luther's revolutionary movements within the realm of religion. Luther responded with much scorn to these barbarians. Officials met to reform the Catholic church in response to the loss of followers and money throughout the Protestant Reformation. Protestant princes versus Catholic princes. Ended in the Peace of Augsburg. Gave each prince the option to decide the religion of his realm. Cuius regio, euius religio. "His realm, his religion." Began as a religious war between Protestants vs Catholics than became Hapsburgs vs everyone else. Defenestration of Prauge. Cardinal Richellieu sent troops to help out the Swedes vs Hapsburgs, important in showing that it even Catholic countries began to fight other Catholic countries. Dutch republic recognized, Calvinists are now allowed. Legitimize the royal family. Balance of power. Compensation of War Losses. Recognized as the Duchy of Warsaw (Poland). Concert of Europe was a system of balance of power established after 1815. Turks vs Hapsburg forces. Polish man Jan Soviesky saved the day! Vienna remains! Center of music in this time. Under her, the German speaking world centralizes in Vienna. Reduced power of the nobles, increased taxes. Also created an income and poll tax. Prussia vs. Austria. All major European powers were involved, but Austria gave Silesia to Prussia. Austria and allies vs Prussia. Prussia won and became a major European power as a result of it's military force. Son of Maria Theresa. Promoted religious tolerance, dissolved monasteries, abolished serfdom, and commuted the Robot. Conservative Metternich system focused on preventing the French revolution from happening anywhere else. The Carlsbad Decrees were basically some rules of major censorship to prevent this revolutionary ideas from taking hold and causing any trouble. The Concert of Europe remained the balance of power. He hated liberalism and self-determination. People demanded civil liberties, unified Germany (Pangermanism). Metternich flees and Franz Joseph puts down the rebellion and reasserts the Empire. The Solider King. Called the Solider King because under him Prussias military exploded into potency and Prussia became the Sparta of the North. 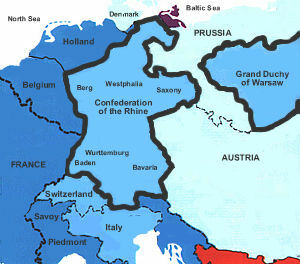 United Prussia by claiming Silesia in the War of Austrian Succession. Gave princes a place in the government mass. He established universal religious toleration and granted freedom of the press. He established individual protections against the law by speeding up the legal process, abolishing torture, and making sentences of death legal only with his personal sanction. Prussian judges were educated and the courts gained a reputation as the most honest in Europe. He established the first German law code and enforced general education rules across Prussia. Frederick financed the rebuilding of towns through agricultural reforms and built thousands of miles of roads. Developed the idea of Nationalism. rganic nationalism, a form of ethnic nationalism in which the state derives its political legitimacy from historic cultural or hereditary groups. The underlying assumption is that every ethnicity should be politically distinct. Herder’s ideas on the subject were expressed in his theory of the Volksgeist. Sought to unify the German states. Note that this did not include Austria. The evolutionary quest for greater unity in truth is achieved by the famous dialectic, positing something (thesis), denying it (antithesis), and combining the two half-truths (synthesis) which will contain necessarily a greater portion of truth in its complexity. Only the absolute is non-self-contradictory. It has something of the harmony of opposites of Heraclitus. When applied as the underlying dynamic principal in the history of civilizations and of nations, it leads to plausible explanations (historicism) but bad history. Elected Parliament and unified the States as a German Empire. Frederick William IV rejects the crown because he is a pretentious jackass who hates the common man. Began in Florence, Italy. The High Renaissance flourished in Rome. People began to look back to the classics for an increased importance of man. Opposite of middle age scholasticism. Centralized trade routes and the wealthy Medici Banking family controlled much of everything. Oligarchy. Wealthy businessmen controlled much of the city states. Trade flourished. Son of Pope Alexander I. Tried to unite Italy, admired by Machiavelli for his unrelenting military power and powerful leadership. Lorenzo the Magnifco! Commissioned artists and beautified Florence. Dominican Friar who attacked the Medici family and the corruption of the Papacy. Executed for heresy. Published the prince which created the idea of a Machiavellian monarch who sacrifices much of public opinion for the state. Charles VIII sacked Rome in 1527 and snuffed the Renaissance. Published the Courtier which described the dream Renaissance man, who could do everything and was a total intellectual dreamboat. Proves Heliocentric theory. The church attempts to make him recant, causes a major struggle between logical and religious beliefs. Detests the death penalty and advocates for better treatment of criminals. The desired unification of Italy. Three groups: MAzzini's (wanted democracy), Sardinians (constitutional monarchy), Neo Guelfs (wanted Catholic theocracy). Legitimization of the royal families. Reparation for War losses. Balance of power. Austria got lombardy and venetia. unification movements failed because of all the three groups, nobody could agree on anything. Leader of Young Italy, they wanted a democratic and united Italy.